Chip 'n’ Dale are part of the Disney collection. Chip has a black nose which is made of Jet crystal. He has a nut in his hand. Dale has a red nose which is made of Light Siam crystal. 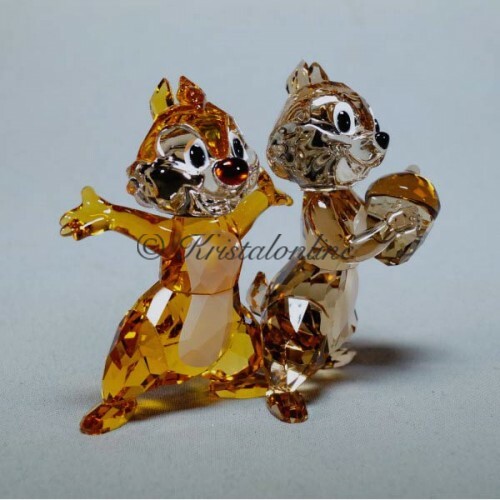 They are made of Topaz, Ceylon Topaz, Sunray Topaz, Peach and Smoked Topaz crystal.